PRG was approached with the task of designing and creating a brand new website featuring jewellery from reality TV star, Luisa Zissman. Zissman has gone from strength to strength after starring in reality game show The Apprentice, followed by a stint in the Celebrity Big Brother house, and now the entrepreneur is launching her own baking-themed jewellery line. PRG was asked to develop an aesthetically pleasing and functional e-commerce website that allowed Zissman’s personality to shine through, and display her new jewellery line to the best advantage. Our focus for the jewellery website was that it should run flawlessly as a masterpiece of e-commerce, with smooth transitions, well-placed calls-to-action to encourage purchases and easy-to-use social media links to encourage sharing. 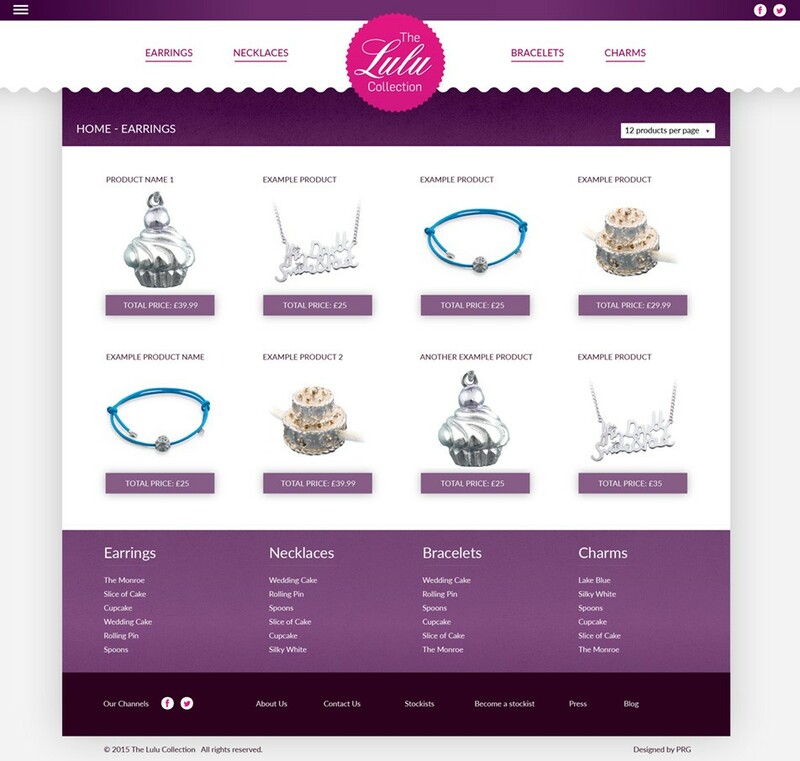 The LuLu Collection website was designed to show the fun, girlie jewellery, which is baking-themed in accordance with Zissman’s entrepreneurial career. This meant that our web design team could be creative with colour and layout, and produce something truly unique. 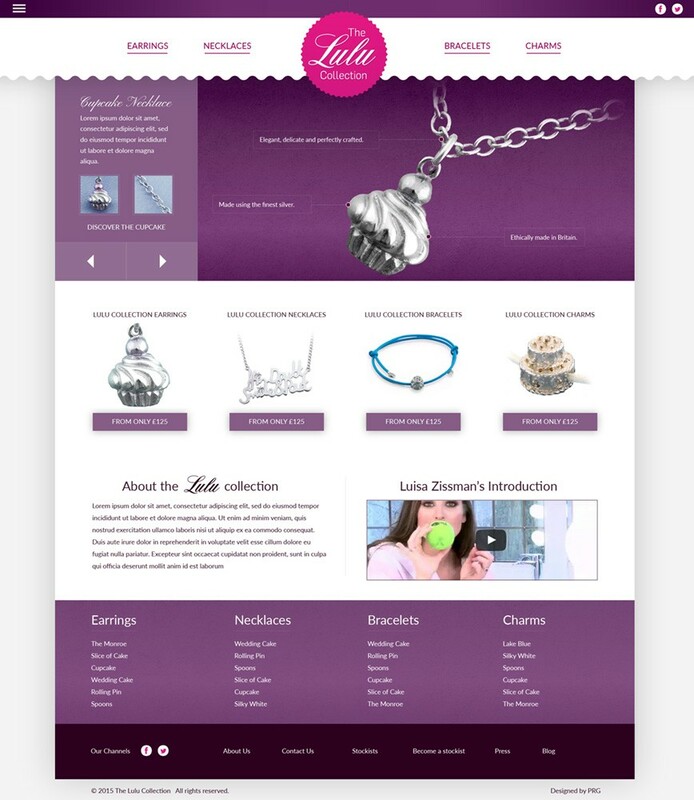 The e-commerce website has a classically feminine colour scheme of complementary pink, purple and white, set off nicely by the silver on the images of the jewellery itself. The baking theme is put to use in the scalloping around the company logo, which is designed to imitate the edges of a cupcake wrapper. We ensured that the jewellery and website harmonised together to make an inviting display to make it easy for Luisa Zissman fans, and baking enthusiasts, to purchase their preferred jewellery through PayPal. We have had much experience in the field of designing websites to epitomise the needs of the customer, and our web team rose to the challenge of designing a unique e-commerce website for an individual. 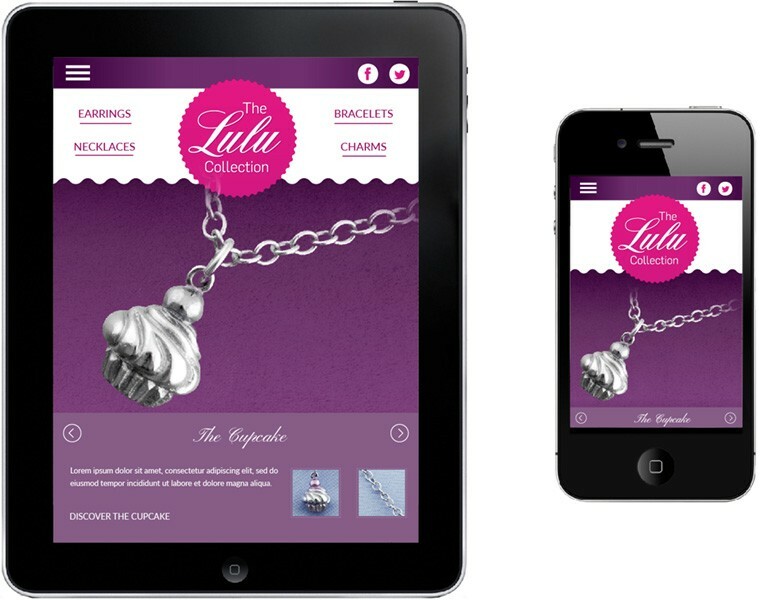 The LuLu Collection website, which launched in October 2015, has received positive feedback from the client about its creativity and functionality. Do you need help creating a captivating e-commerce website that inspires customers to make a purchase?